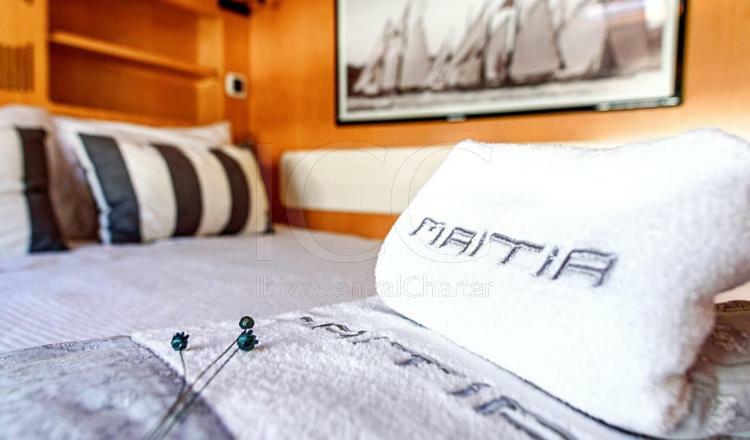 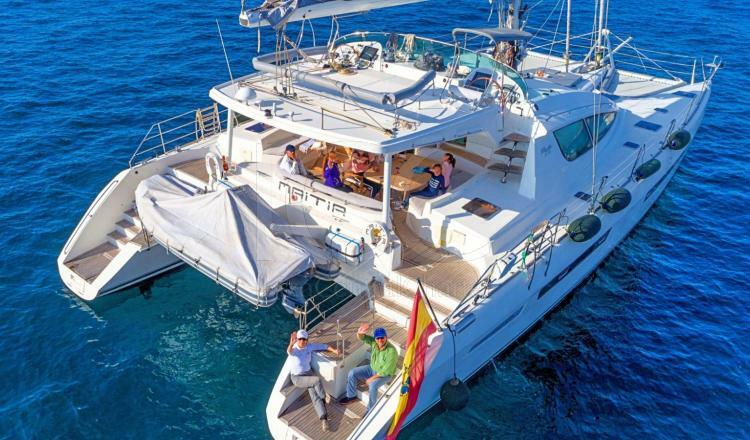 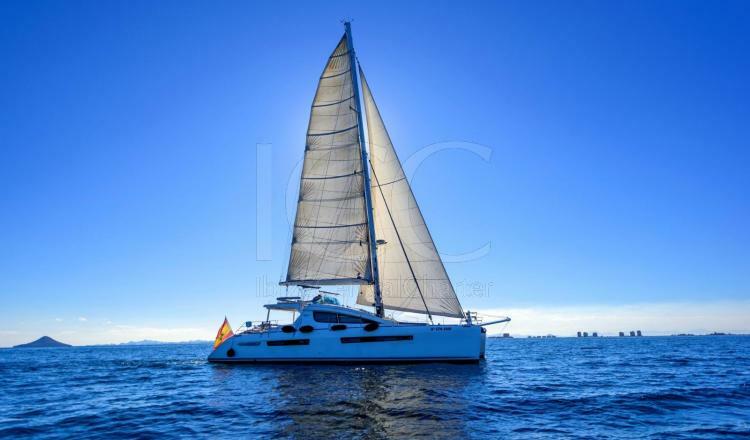 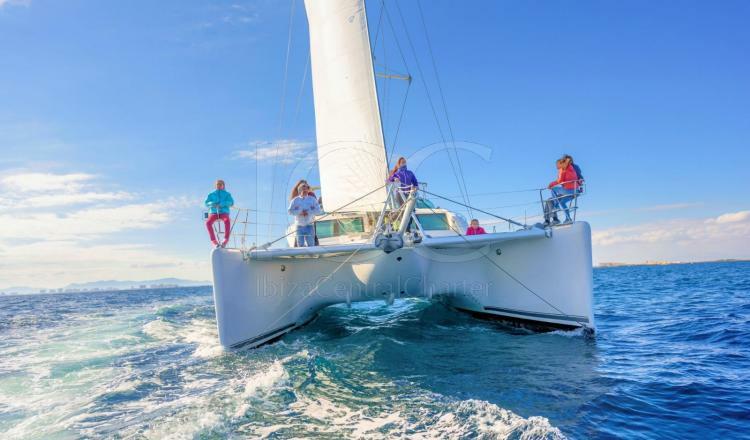 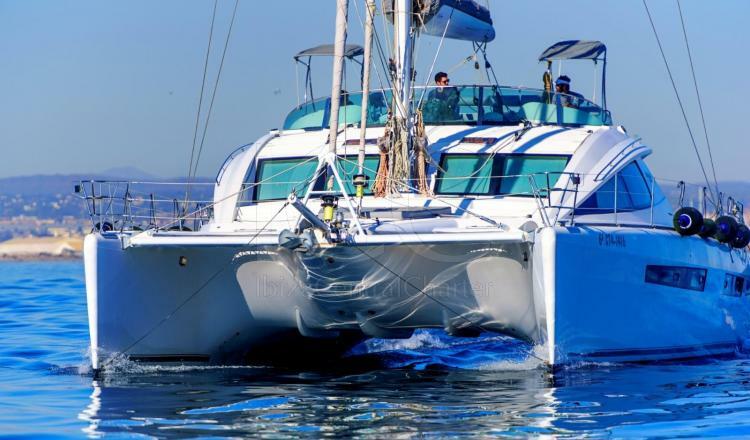 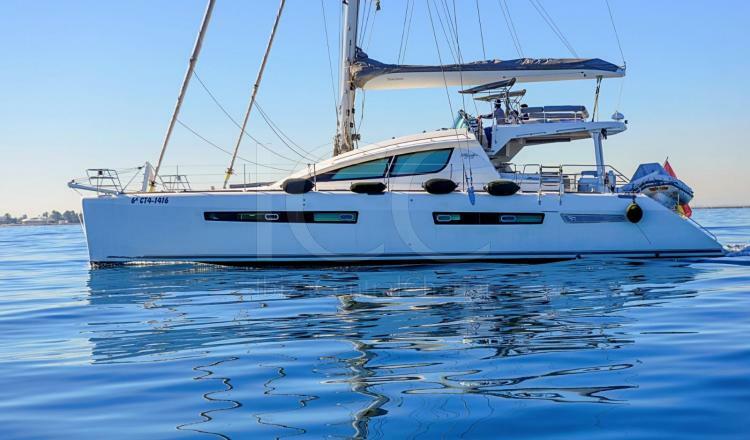 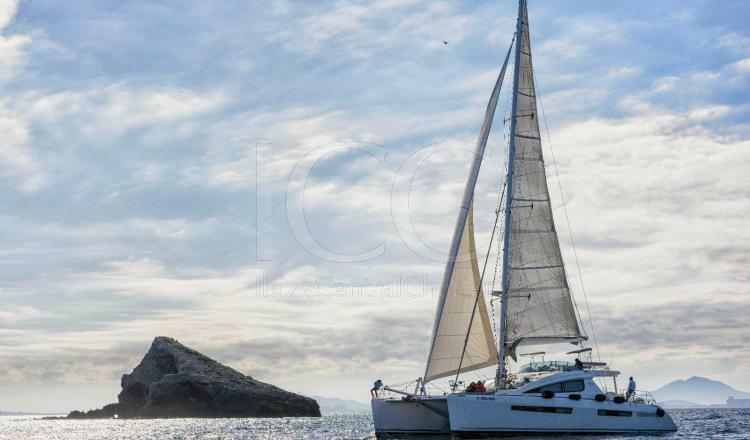 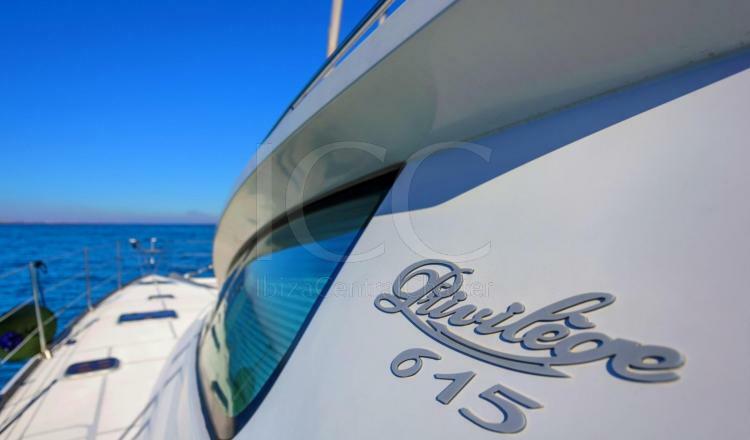 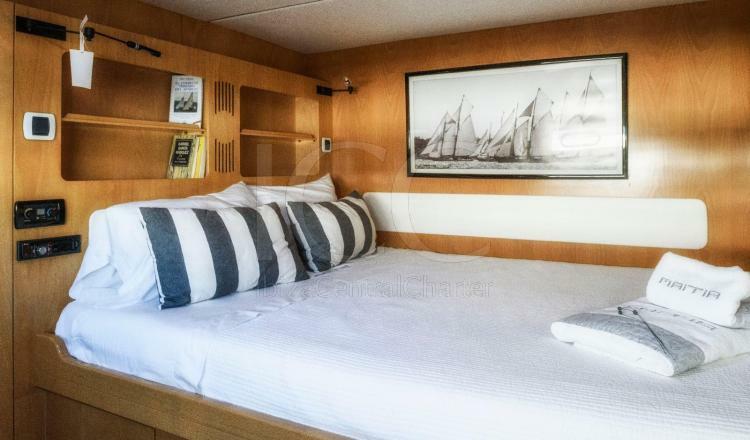 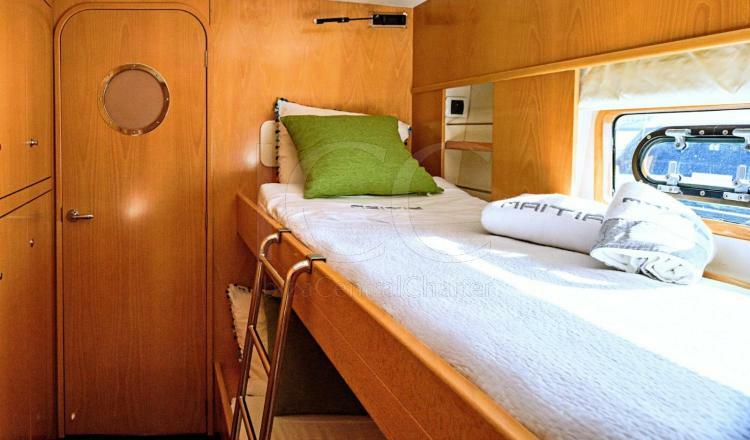 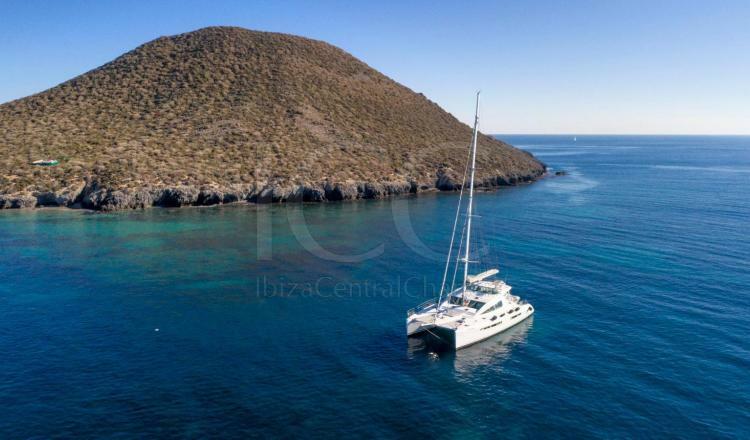 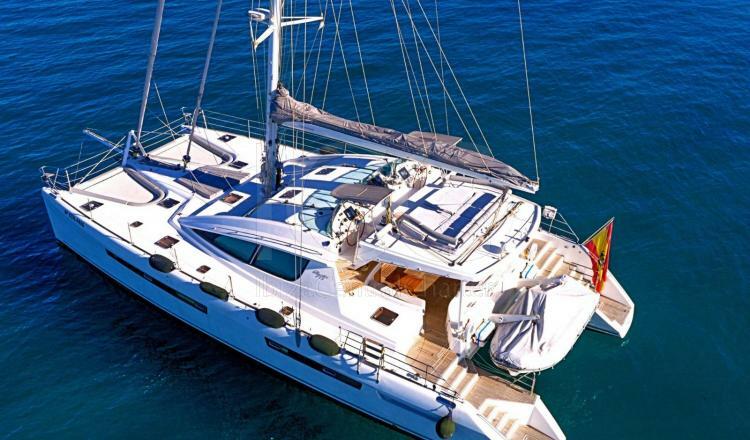 The Privilege Marine 615 is a catamaran that has space for up to 12 people and allows you to sail at a speed of 9 knots through the waters of the Mediterranean with all the comforts and equipment. 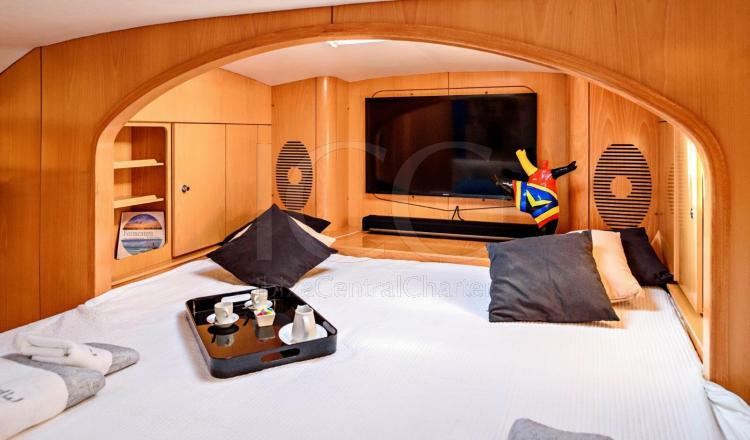 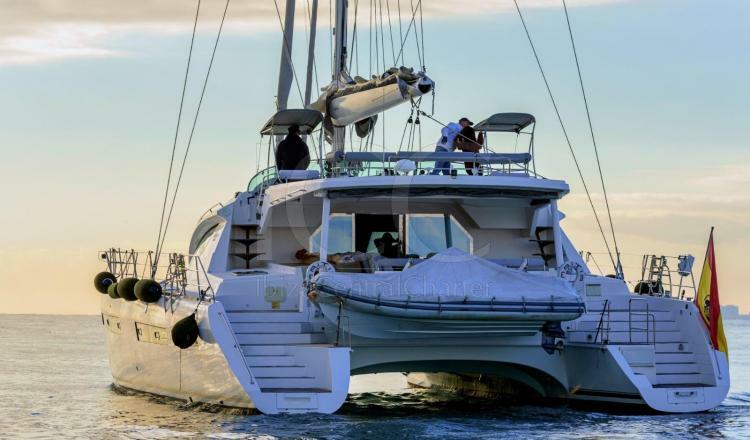 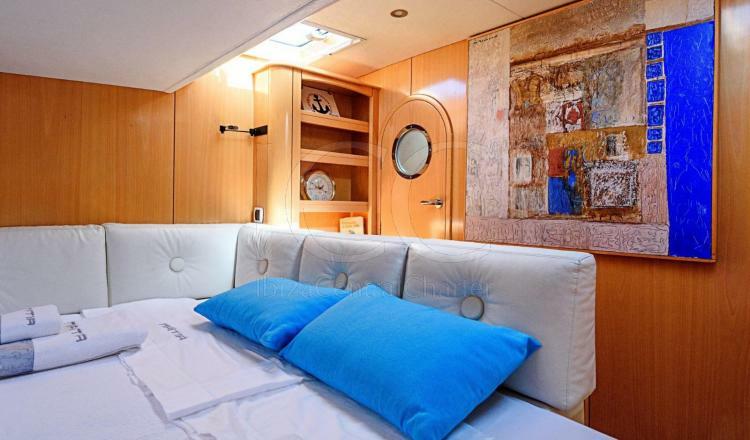 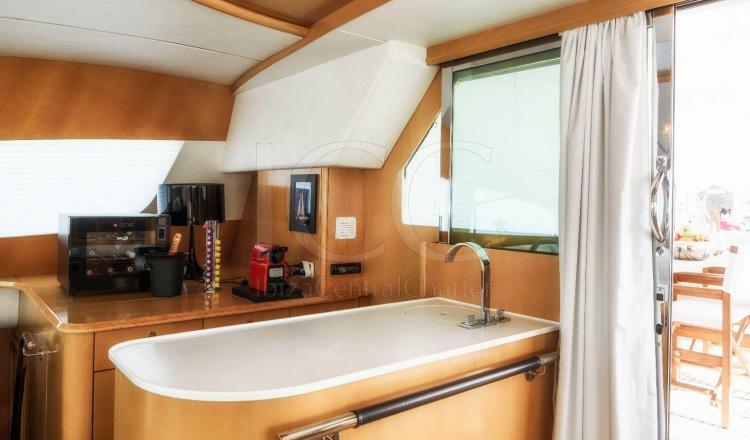 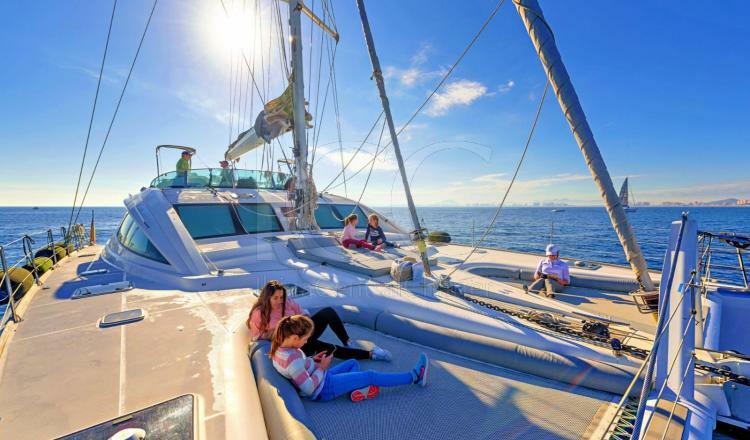 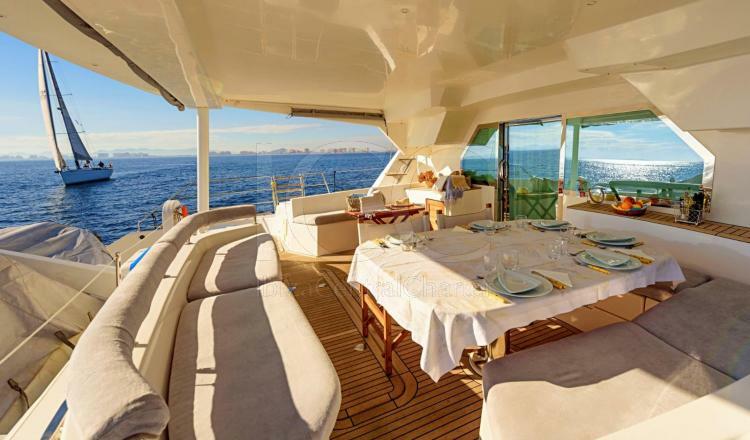 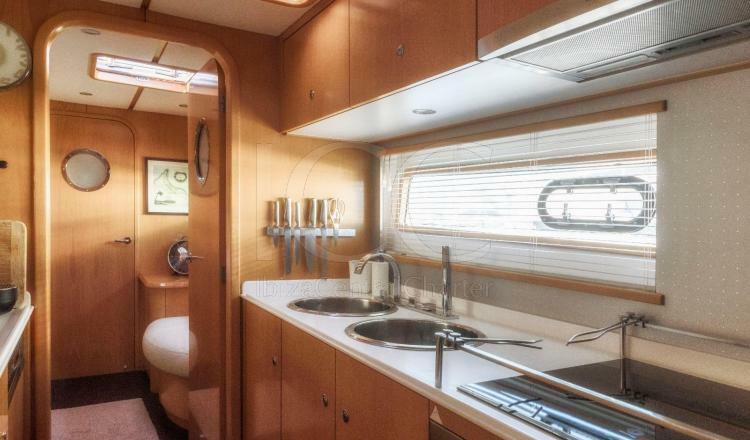 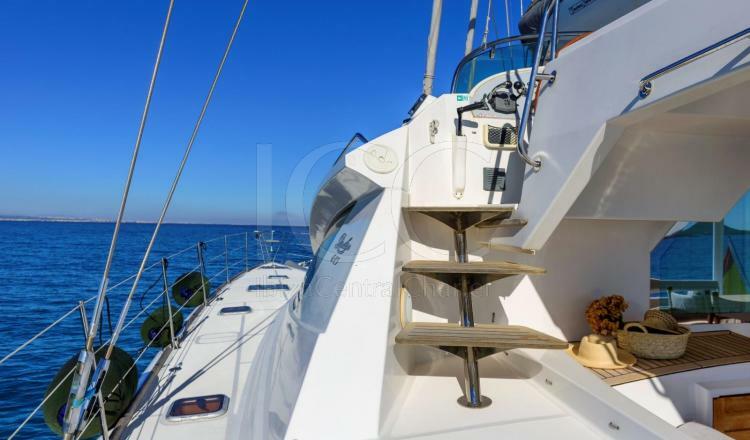 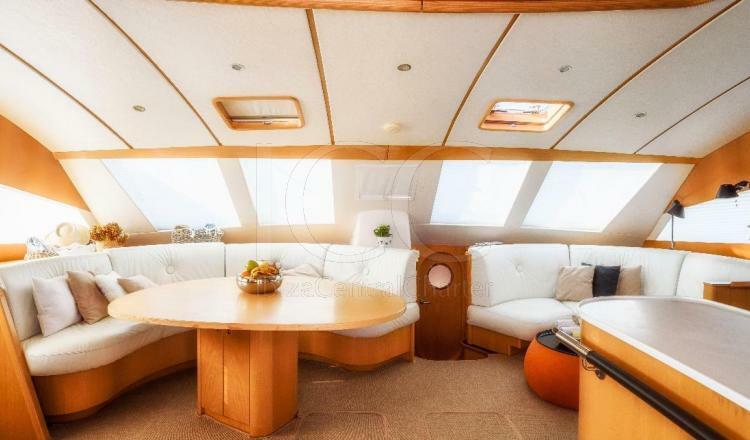 This catamaran has a large space both in the interior and exterior. 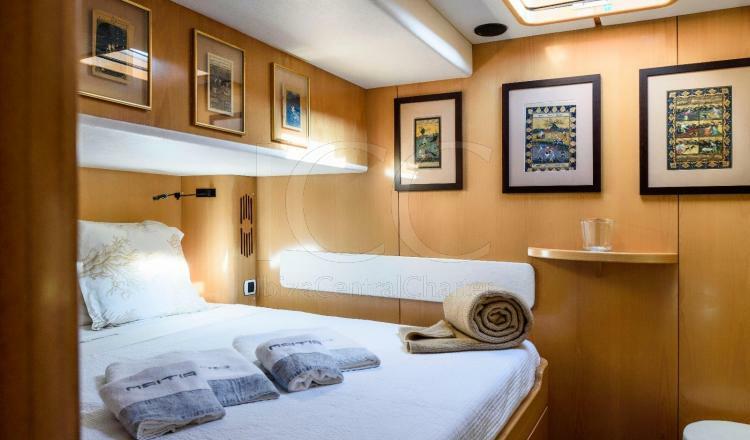 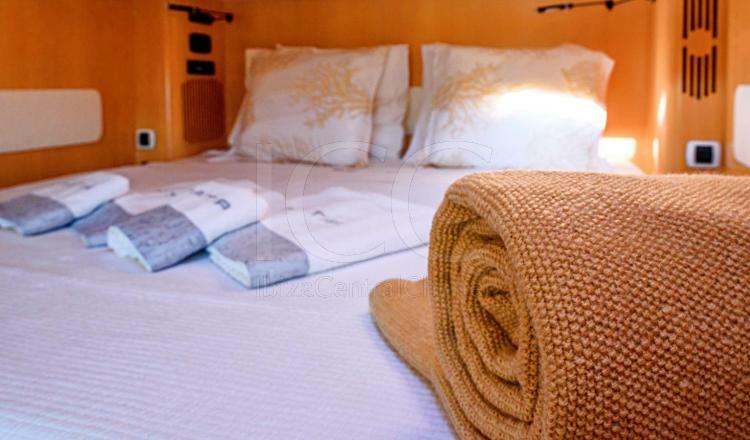 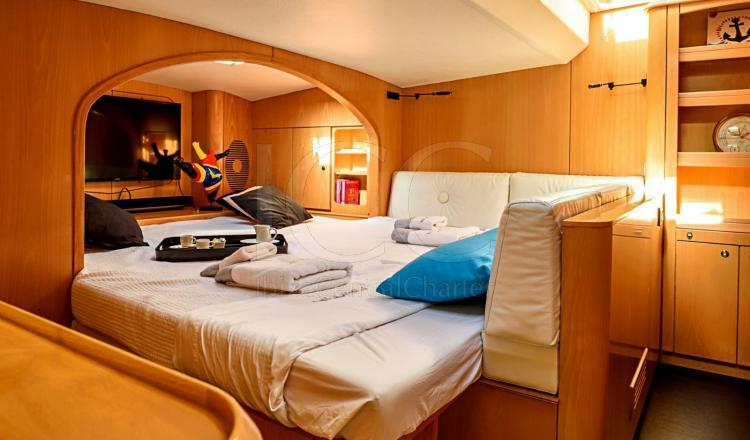 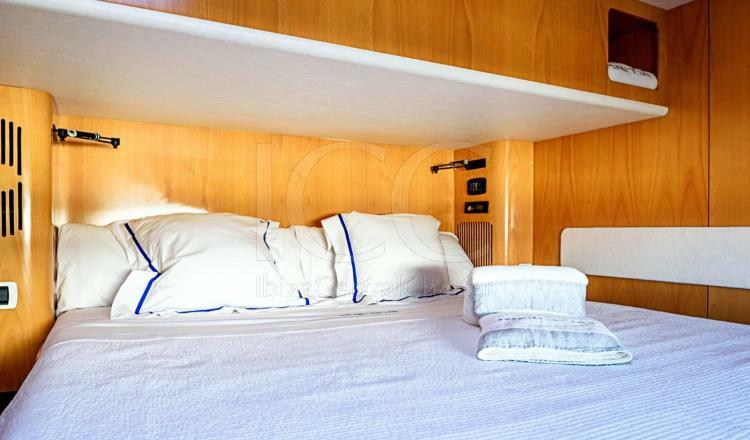 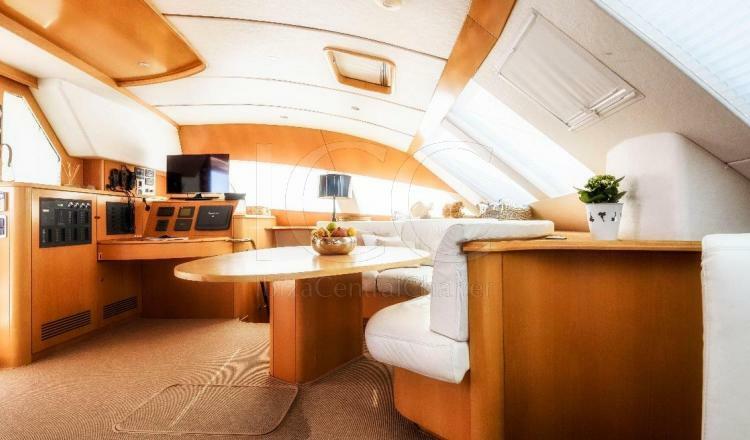 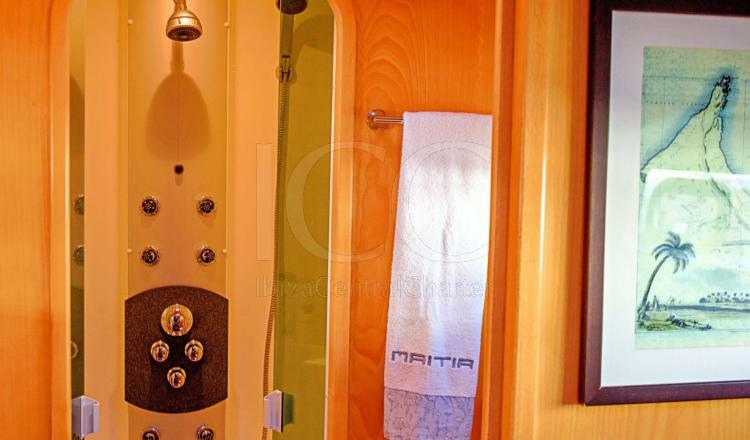 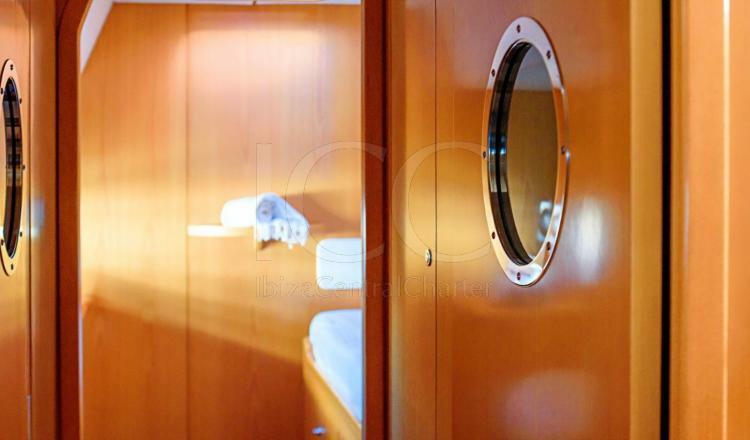 In the interior part it has 4 cabins with 4 fully equipped bathrooms. 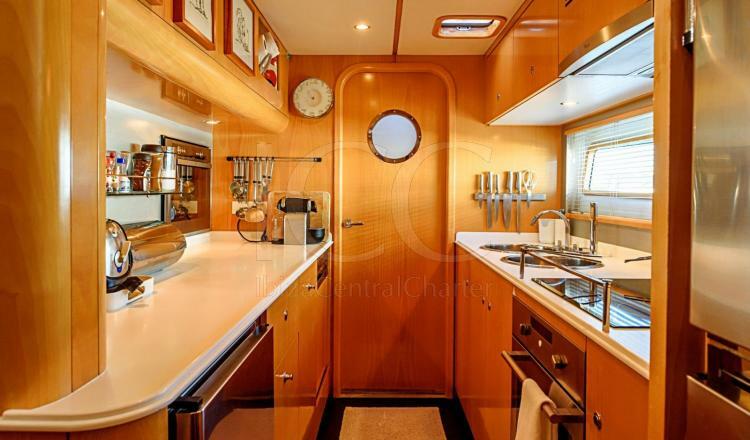 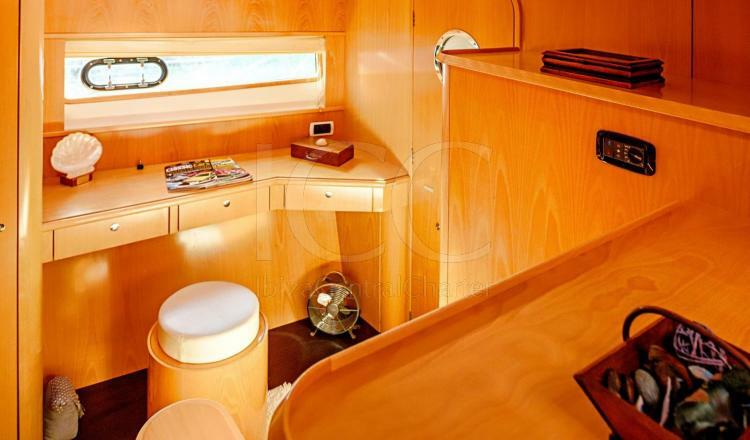 In addition, it also has 2 cabins for triuplation and a kitchen with all the utensils and equipment. 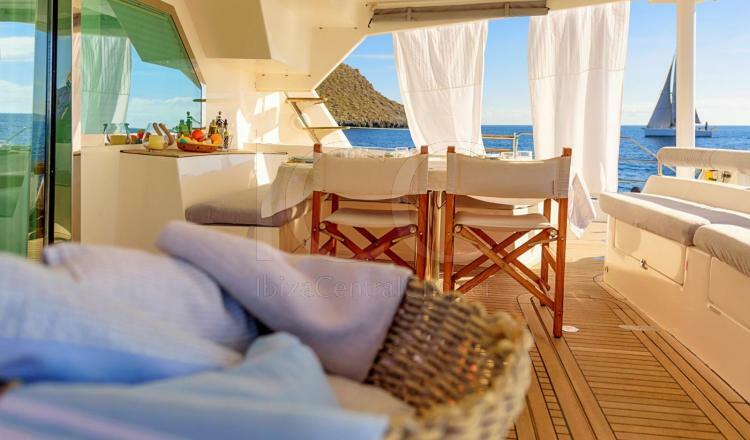 The outdoor area has a large sundeck in the bow, an aft shower and a deck with sofas to relax and an outdoor table ideal for al fresco dining. 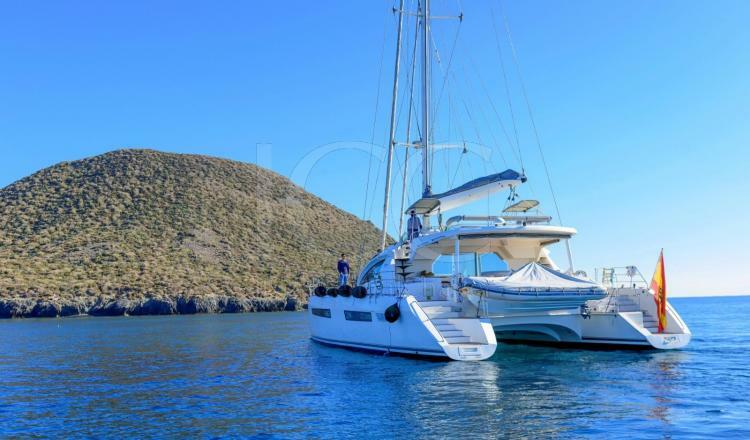 In addition, this boat is equipped with GPS, plotter, autopilot and complete safety equipment.